Below you will find our General Website Terms and Conditions - please read them carefully. For further details regarding our commercial Terms and Conditions, please refer to the FAQ question from this site. Radient Consulting SRL, a Romanian company, headquartered in Bucharest, 71 Calea 13 Septembrie, Sector 5, Romania, registered with the Bucharest Commercial Registry under No. J40/6006/2004 and identified by fiscal code RO16331027, together with its affiliates (collectively, "Radient") makes information, products, and services available on this website (the “Site”), subject to the following terms and conditions ("Terms"). Through or by this Site, Radient makes available software ("Software") which is copyrighted work of Autodesk, Inc., a Delaware corporation with a principal place of business at 111 McInnis Parkway, San Rafael, California, and its subsidiaries (collectively, "Autodesk"), in relation to whom Radient act as independent partner (i.e. 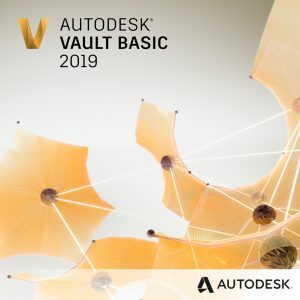 Autodesk Value Added Reseller). The legal notices available on the website of Autodesk under the following link: https://www.autodesk.com/company/legal-notices-trademarks apply by reference to the Software purchased by means of the Site. No charge is made for your use of the Site (unless otherwise stated), although you should be aware that charges for Internet use may apply at rates determined by your provider. Radient reserves the right to change the products, services, prices, and programs mentioned in this Site, at any time, at its sole discretion. Radient reserves the right to change these Terms, and provide you with notice of such change by posting the revised draft of the Terms on the Site or by other reasonable means selected by us. Your continued use of the Site after such changes will indicate your acceptance of such changes. Radient further reserves the right to seek all remedies available by law and in equity for any violation of these Terms. Any rights not expressly granted herein are reserved by Radient. 1. Eligibility. If you are using this Site on behalf of a corporation or other legal entity, you represent that you are authorized to accept these terms and conditions on behalf of such corporation or other legal entity. Further, you acknowledge that you are 18 years of age or older, and, if under the age of 18, are using this Site under the active supervision of a parent, legal guardian, or other responsible adult. Individuals who are under the age of majority in their jurisdiction are not allowed to use this Site or transmit or otherwise submit personally identifiable information to Radient. 2. Software. Any software that is made available to download by or through this Site is the copyrighted work of Autodesk – or other software producers - its suppliers and/or its licensors. Use of the Software is governed by the terms of the end user license agreement or other agreement applicable to the Software (each, a “License Agreement”), to which Autodesk – or other software producers – and you become parties. You may not install any Software that is accompanied by or includes a License Agreement unless you have agreed to the applicable License Agreement terms. Upon request, Radient may provide you with a separate copy of the applicable License Agreement. (vi)	Web Services (i.e. 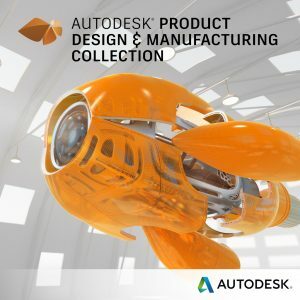 products such as Autodesk 360 services, SaaS offerings, storage, hosted products, collaboration and other web services (whether accessed through a computer, mobile device or other mechanism) and which Autodesk offers under particular terms and conditions). However, the provisions above may not in any case be regarded as an obligation of Radient, Autodesk or any other software developer to provide any Update, Upgrade, Subscription etc. of any kind. The Software made available by means of the Site is licensed, not sold, to you as end user. All references in these Terms to the "sale", "selling" or “provision” of Software means the provision of a license to use the Software only as licensed. All references in these Terms to "purchase", “acquisition” or “acquire” Software shall mean the acquisition of a license to use that Software. Under no circumstances shall these terms constitute, or be construed to constitute, the sale or transfer of intellectual property. The Software is delivered by Radient, as an Autodesk partner, solely for use by end users in accordance with the License Agreement and/or these Terms. Except to the extent expressly permitted in any applicable License Agreement, or expressly authorized under applicable law overriding any of the following restrictions, you agree that you will not sell, lease, lend, convey, transmit, modify, adapt, translate, prepare derivative works from, decompile, reverse engineer, disassemble or attempt to derive source code from the Software. 3. Return of the acquired Software. All the Autodesk products can be tested as trial software for a 30-days period, in order to see if the product matches all your requirements. However, if for some reason, you need to cancel your purchase and ask for a refund, note that Radient will refund in full orders for subscriptions purchased in the online store within 15 days of the initial purchase. It generally takes 7 to 10 business days to approve and process your refund. We then issue the credit to the card you used when purchasing. We refund the full cost of your order, including taxes and shipping charges. 4. Terms Applicable to Professionals. The following terms and conditions apply specifically to any professional (corporation or other legal entity) who is a user of this Site by accepting these Terms: You agree to require each of your employees to be bound by the terms and conditions of these Terms and you agree to remain responsible and liable for all acts and omissions of your employees in connection with the Site, including any breaches of these Terms. All references to your access and/or use of the Site herein include access and/or use of the Site by your employees. You agree that each of your employees is responsible for maintaining the confidentiality of any password that such employee may use to access the Site, and you agree not to let any employee transfer a password or user name, or lend or otherwise transfer use of or access to the Site, to other employees or any third party. If an employee leaves your employ, or if you wish to disable an employee’s access to the Site, you are responsible for any such changes. You are fully responsible for all interaction with the Site that occurs in connection with passwords or user names associated with your employees (including any former employees). 5. Terms Applicable to Consumers. The Directive 2011/83/EU of the European Parliament and of the Council of 25 October 2011, on consumer rights (the “Consumer Rights Directive”), refers to ‘consumer’ as any natural person who is acting for purposes which are outside his trade, business, craft or profession. In view of the Consumer Rights Directive, in case you are using this Site as consumer, you acknowledge the following: (i) by acquiring the Software (i.e. digital content which is not supplied on a tangible medium) you express your consent for Radient to immediately commence the performance of these Terms; and as a result (ii) no right of withdrawal shall apply to these Terms. By using this Site as consumer, you accept and confirm that you fully agree with these Terms. When you make purchases through the Site, Radient uses a payment processor and does not receive credit card or other financial information (other than confirmation that payment in a certain amount has been made), given that the store available on the Site is run by an e-commerce provider (i.e. PayPal). Radient may collect contact information from you that Radient passes through to the payment processor to facilitate the transaction. Radient may release personal information if such release is required to comply with the applicable law or to protect the rights, property or safety of Radient, our users or others. Other than as set out herein, you will receive notice when information about you might go to third parties and you will have an opportunity to choose not to share the information. By accepting these Terms and using the Site, you unequivocally express your consent for Radient to collect and process personal data for the purposes mentioned above and to transfer such data to Autodesk or other software developers. You can withdraw your consent at any time and choose not to provide certain information. You have the right to access and modify your personal data and the right not to be subjected to an individual decision. You also have the right to object to the processing of your personal data and request deletion of such data. To exercise these rights, you may submit a written request with Radient, by using the contact form included on the Site. Also, by accepting these Terms and using the Site, you agree to the transfer to, processing and storage of your personal information abroad, to the United States of America and other countries, the privacy laws of which may be considered less strict than those of your region. This consent applies in addition to other legal grounds for transfer, processing and storage of your personal information, such as for contract fulfillment purposes. Whenever and if Radient transfers personal information to countries outside of the European Economic Area or the United States of America in the course of sharing information as set out above, Radient will ensure that the information is transferred in accordance with these Terms and as permitted by the applicable laws on data protection. Radient may update this privacy statement from time to time. If Radient decides to make changes to this privacy statement on a forward going basis, Radient will inform you and other users by placing a notice on the Site or by sending you a notice to the e-mail address (if any) Radient has on file for you. Radient may also give you notice through our applications and on Radient’s other websites. You should periodically check the Site and this privacy statement for updates. Your continued use of the Site constitutes your agreement to this privacy statement. 8. Registration; User Names and Passwords. You may be required to register with Radient in order to access certain areas of the Site. With respect to any such registration, Radient may refuse to grant you, and you may not use, a user name (or e-mail address) that is already being used by someone else; that may be construed as impersonating another person; that belongs to another person; that personally identifies you; that violates the intellectual property or other rights of any person; that is offensive; or that Radient rejects for any other reason in Radient’s sole discretion. Your user name and password are for your personal use only, and not for use by any other person. You are responsible for maintaining the confidentiality of any password you may use to access the Site, and agree not to transfer your password or user name, or lend or otherwise transfer your use of or access to the Site, to any third party. You are fully responsible for all interaction with the Site that occurs in connection with your password or user name. You agree to notify Radient immediately of any unauthorized use of your password or user name or any other breach of security related to your account or the Site, and to ensure that you “log off”/exit from your account with the Site (if applicable) at the end of each session. Radient is not liable for any loss or damage arising from your failure to comply with any of the foregoing obligations. 9. Proprietary Rights. The information and materials made available through the Site are and shall remain the property of Radient, its subsidiaries, affiliates, licensors and/or suppliers, and are protected by copyright, trademark, patent, and/or other proprietary rights and laws. Subject to your compliance with these Terms, solely for so long as you are permitted by Radient to access and use the Site, and provided that you keep intact all copyright and other proprietary notices, you may (a) view any content on the Site to which we provide you access hereunder on any single computer solely for personal, informational, non-commercial purposes, and (b) download and print one (1) copy of materials that Radient specifically makes available for downloading (such as white papers) (the "Documents") from this Site solely for personal, informational, non-commercial purposes, provided that the Documents may not be modified or altered in any way. You may not use, download, upload, copy, print, display, perform, reproduce, publish, license, post, transmit, rent, lease, modify, loan, sell, distribute, or create derivative works based (whether in whole or in part) on, the Site or any information from this Site, in whole or in part, without the express prior written authorization of Radient. Elements of the Site are protected by copyright, trade dress, trademark, unfair competition, and/or other laws and may not be copied or imitated in whole or in part. No logo, graphic, sound, or image from the Site may be copied or retransmitted unless expressly permitted in writing by Radient. Nothing contained on the Site should be construed as granting, by implication, estoppel or otherwise, any license or right to use any of Radient’s or its affiliates’ or suppliers’ trade names, trademarks or service marks without Radient’s express prior written consent. 10. Disclaimer of Warranties. RADIENT AND/OR ITS RESPECTIVE SUBSIDIARIES, AFFILIATES, SUPPLIERS AND LICENSORS AND ITS AND THEIR DIRECTORS, OFFICERS, EMPLOYEES, AGENTS AND REPRESENTATIVES MAKE NO REPRESENTATIONS ABOUT THE SITE, ANY PRODUCTS AND SERVICES CONTAINED ON THE SITE OR THE SUITABILITY OF THE INFORMATION CONTAINED IN THE MATERIALS, INFORMATION, CONTENT, DOCUMENTS, AND RELATED GRAPHICS PUBLISHED ON THIS SITE FOR ANY PURPOSE. THE SITE, ANY PRODUCTS OR SERVICES (INCLUDING WITHOUT LIMITATION, THIRD PARTY PRODUCTS AND SERVICES) OBTAINED THROUGH THE SITE, AND ALL SUCH INFORMATION, CONTENT, DOCUMENTS, AND RELATED GRAPHICS ARE PROVIDED FOR YOUR USE AT YOUR OWN RISK AND "AS IS" WITHOUT WARRANTY OF ANY KIND. RADIENT AND/OR ITS RESPECTIVE SUBSIDIARIES, AFFILIATES, SUPPLIERS AND LICENSORS HEREBY DISCLAIM ALL WARRANTIES AND CONDITIONS WITH REGARD TO THIS SITE, SUCH PRODUCTS AND SERVICES AND SUCH INFORMATION, CONTENT, DOCUMENTS, AND RELATED GRAPHICS, INCLUDING ALL IMPLIED WARRANTIES AND CONDITIONS OF MERCHANTABILITY, FITNESS FOR A PARTICULAR PURPOSE, TITLE, AND NON-INFRINGEMENT. PLEASE NOTE THAT THE LICENSE AGREEMENT APPLICABLE TO ANY SOFTWARE AVAILABLE TO PURCHASE THROUGH THE SITE MAY CONTAIN EXPRESS (BUT NOT IMPLIED) WARRANTIES APPLICABLE TO SOFTWARE, WHICH WILL GOVERN THAT PARTICULAR SOFTWARE. EXCEPT AS EXPRESSLY WARRANTED IN SUCH LICENSE AGREEMENT, THE SOFTWARE IS GOVERNED BY THE DISCLAIMER OF WARRANTIES SET FORTH IN THE PREVIOUS PARAGRAPH OF THIS SECTION, AS WELL AS THE APPLICABLE LICENSE AGREEMENT. 11. Limitation of Liability. IN NO EVENT SHALL RADIENT AND/OR ITS RESPECTIVE SUBSIDIARIES, AFFILIATES, SUPPLIERS AND LICENSORS AND ITS AND THEIR DIRECTORS, OFFICERS, EMPLOYEES, AGENTS AND REPRESENTATIVES BE LIABLE FOR ANY DIRECT, INDIRECT, EXEMPLARY, INCIDENTAL, CONSEQUENTIAL OR PUNITIVE DAMAGES OR ANY DAMAGES WHATSOEVER RESULTING FROM LOSS OF USE, DATA, OR PROFITS, LOSS OF OTHER INTANGIBLES, LOSS OF SECURITY OF INFORMATION YOU HAVE PROVIDED IN CONNECTION WITH YOUR USE OF THE SITE, OR UNAUTHORIZED INTERCEPTION OF ANY SUCH INFORMATION BY THIRD PARTIES, WHETHER IN AN ACTION OF EQUITY, CONTRACT, NEGLIGENCE, OR OTHER TORTIOUS ACTION, ARISING OUT OF OR IN CONNECTION WITH THE USE OR PERFORMANCE OF THE SITE, ANY PRODUCTS AND SERVICES AVAILABLE THROUGH THE SITE, ANY SOFTWARE, INFORMATION, CONTENT, DOCUMENTS, RELATED GRAPHICS, PROVISION OF OR FAILURE TO PROVIDE SERVICES AVAILABLE FROM OR THROUGH THIS SITE, EVEN IF ADVISED IN ADVANCE OF SUCH DAMAGES OR LOSSES. IN PARTICULAR, AND WITHOUT LIMITATION, RADIENT AND/OR ITS RESPECTIVE SUBSIDIARIES, AFFILIATES, SUPPLIERS AND LICENSORS AND ITS AND THEIR DIRECTORS, OFFICERS, EMPLOYEES, AGENTS AND REPRESENTATIVES WILL NOT BE LIABLE FOR DAMAGES OF ANY KIND RESULTING FROM YOUR USE OF OR INABILITY TO USE THE SITE OR FROM ANY SOFTWARE AND/OR OTHER CONTENT POSTED ON THE SITE BY RADIENT OR ANY THIRD PARTY. YOUR SOLE AND EXCLUSIVE REMEDY FOR DISSATISFACTION WITH THE SITE IS TO STOP USING THE SITE. THE MAXIMUM LIABILITY OF RADIENT FOR ALL DAMAGES, LOSSES AND CAUSES OF ACTION, WHETHER IN CONTRACT, TORT (INCLUDING WITHOUT LIMITATION NEGLIGENCE) OR OTHERWISE, SHALL BE THE TOTAL AMOUNT, IF ANY, PAID BY YOU TO RADIENT TO ACCESS AND USE THE SITE. THE SITE, THE PRODUCTS AND SERVICES AVAILABLE THROUGH THE SITE AND THE INFORMATION, CONTENT, SOFTWARE, DOCUMENTS, AND RELATED GRAPHICS PUBLISHED ON THIS SITE COULD INCLUDE TECHNICAL INACCURACIES, ERRORS, OR OMISSIONS. CHANGES MAY BE PERIODICALLY ADDED TO THE INFORMATION HEREIN. RADIENT AND/OR ITS RESPECTIVE SUBSIDIARIES, AFFILIATES, SUPPLIERS AND LICENSORS MAY, BUT ARE NOT OBLIGATED TO, MAKE IMPROVEMENTS AND/OR CHANGES IN THE SITE, THE PRODUCTS AND SERVICES AVAILABLE THROUGH THE SITE AND THE INFORMATION, SERVICE(S), SOFTWARE, PRODUCT(S), AND/OR THE PROGRAM(S) DESCRIBED HEREIN AT ANY TIME. RADIENT ACCEPTS NO LIABILITY FOR ANY DAMAGES RESULTING FROM THE ACQUISITION OR USE OF THE SOFTWARE. LIMITATIONS INCLUDED IN THE LICENSE AGREEMENTS CORRESPONDING TO THE SOFTWARE ACQUIRED BY YOU REMAIN APPLICABLE. NOTHING IN THIS SECTION 10 SHALL LIMIT RADIENT'S LIABILITY TO YOU IN THE EVENT OF DIRECT DAMAGES RESULTING FROM RADIENT'S PROVEN GROSS NEGLIGENCE, OR FRAUDULENT ACTION, OR FOR ANY OTHER LIABILITY WHICH CANNOT BE EXCLUDED BY APPLICABLE LAWS. 12. Claims of Copyright Infringement. If you believe in good faith that materials available on the Site infringe your copyright, you (or your agent) may send Radient a notice requesting that Radient remove the material or block access to it. Such notice should be accompanied by documentation substantiating your request. Radient suggests that you consult your legal advisor before filing a notice. 13. Links. THE LINKS IN THIS SITE MAY LET YOU LEAVE RADIENT'S SITE. THE LINKED SITES ARE NOT UNDER THE CONTROL OF RADIENT AND RADIENT IS NOT RESPONSIBLE FOR THE CONTENTS OF ANY LINKED SITE OR ANY LINK CONTAINED IN A LINKED SITE, OR ANY CHANGES OR UPDATES TO SUCH SITES. RADIENT IS NOT RESPONSIBLE FOR WEBCASTING OR ANY OTHER FORM OF TRANSMISSION RECEIVED FROM ANY LINKED SITE. RADIENT IS PROVIDING THESE LINKS TO YOU ONLY AS A CONVENIENCE, AND THE INCLUSION OF ANY LINK DOES NOT IMPLY ENDORSEMENT BY RADIENT OF ANY LINKED SITES. YOU AGREE THAT YOUR USE OF THIRD PARTY WEBSITES AND RESOURCES, INCLUDING WITHOUT LIMITATION, YOUR USE OF ANY CONTENT, INFORMATION, DATA, ADVERTISING, PRODUCTS, OR OTHER MATERIALS ON OR AVAILABLE THROUGH SUCH WEBSITES AND RESOURCES, IS AT YOUR OWN RISK AND IS SUBJECT TO THE TERMS AND CONDITIONS OF USE APPLICABLE TO SUCH SITES AND RESOURCES. •	Anything that is or may be (a) threatening, harassing, degrading or hateful; (b) defamatory; (c) fraudulent or tortious; (d) obscene, indecent or otherwise objectionable; or (e) protected by copyright, trademark or other proprietary right without the express prior consent of the owner of such right. •	Any material that would give rise to criminal or civil liability or that encourages conduct that constitutes a criminal offense. •	Any virus, worm, Trojan horse or other computer code, file, or program that is harmful or invasive or may or is intended to damage or hijack the operation of any hardware or software. •	Any unsolicited or unauthorized advertising, promotional materials, “junk mail,” “spam,” “chain letter,” “pyramid scheme” or investment opportunity, or any other form of solicitation. ii. Use the Site for any fraudulent or unlawful purpose. iii. Harvest or collect personally identifiable information about other users of the Site. iv. Impersonate any person or entity, including any representative of Radient or its affiliates; falsely state or otherwise misrepresent your affiliation with any person or entity; or express or imply that Radient endorses any statement you make. v.	Interfere with or disrupt the operation of the Site or the servers or networks used to make the Site available; or violate any requirements, procedures, policies or regulations of such networks. vi. Restrict or inhibit any other person from using the Site (including by hacking or defacing any portion of the Site). vii. Use the Site to advertise or offer to sell or buy any goods or services without Radient's express prior written consent. viii. Reproduce, duplicate, copy, sell, resell or otherwise exploit for any commercial purposes, any portion of, use of, or access to the Site (including any content, Software and other materials available through the Site). ix. Modify, adapt, translate, reverse engineer, decompile or disassemble any portion of the Site (including any content, Software and other materials available through the Site), except as and solely to the extent expressly authorized under applicable law overriding any of these restrictions. x. Remove any copyright, trademark or other proprietary rights notice from the Site or content, Software and other materials originating from the Site. xi. Frame or mirror any part of the Site without Radient's express prior written consent. xii. Create a database by systematically downloading and storing all or any Site content. xiii. Use any robot, spider, site search/retrieval application or other manual or automatic device to retrieve, index, “scrape,” “data mine” or in any way reproduce or circumvent the navigational structure or presentation of the Site, without Radient’s express prior, written consent. 15. Monitoring. You acknowledge and agree that Radient reserves the right (but has no obligation) to do one or more of the following in Radient’s discretion, without notice or attribution to you: (i) monitor Comments / Submissions as well as access to the Site; (ii) alter, remove, or refuse to post or allow to be posted any Comment / Submission; and/or (iii) disclose any Comments / Submissions, and the circumstances surrounding their transmission, to any third party in order to operate the Site; to protect Radient, its affiliates and their respective employees, officers, directors, shareholders, affiliates, agents, representatives, suppliers or licensees, and the Site's users and visitors; to comply with legal obligations or governmental requests; to enforce these Terms; or for any other reason or purpose. Radient disclaims any responsibility for content submitted by users on or through any area of the Site. 17. Termination. You agree that Radient may, in its sole discretion, at any time for any reason or no reason, terminate your access to this Site and any account(s) you may have in connection with this Site, including if Radient believes that you have violated or acted inconsistently with the letter or spirit of these Terms. Upon any such termination, your right to use the Site will immediately cease. You agree that any termination of your access to or use of the Site may be effected without prior notice, and that Radient may immediately deactivate or delete your password and user name, and all related information and files associated with it, and/or bar any further access to such information or files. You agree that Radient, its affiliates and their respective employees, officers, directors, shareholders, affiliates, agents, representatives, suppliers or licensees shall not be liable to you or any third party for any termination of your access to the Site or to any such information or files, and shall not be required to make such information or files available to you after any such termination. 18. Governing Law; Forum. By accepting these Terms (a) you consent that these Terms shall be governed by and construed in accordance with the laws of Romania without regard to applicable conflict of law provisions; (b) you agree to the jurisdiction of an appropriate state court in Bucharest, Romania, for any action or proceeding arising out of or related to these Terms; and (b) except to the extent expressly provided in the following paragraph, any disputes arising under or in connection with these Terms (including any of our policies referred to herein) and/or the Site shall be governed by and construed in accordance with the laws of Romania without regard to applicable conflict of law provisions. 19. Miscellaneous. These Terms contain the entire agreement between you and Radient with respect to this Site and supersede all prior or contemporaneous communications and proposals, whether electronic, oral or written, between you and Radient with respect to this Site. You hereby acknowledge that you shall have no power or authority to assume or create any obligation or responsibility on behalf of Radient. A party may only waive its rights under these Terms, by a written document executed by both parties. Any failure to enforce any provision of these Terms shall not constitute a waiver thereof or of any other provision hereof. If any provision of these Terms is found to be unlawful, void or for any reason unenforceable, that provision will be deemed severable from these Terms and will not affect the validity and enforceability of any remaining provision. You may not assign, transfer or sublicense any or all of your rights or obligations under these Terms without Radient’s express prior written consent. Any heading, caption or section title contained herein is inserted only as a matter of convenience, and in no way defines or explains any section or provision hereof. Radient will not be responsible for failures to fulfill any obligations due to causes beyond its control. 20. Contact Radient. If you have any questions regarding the meaning or application of these Terms, please direct such questions to office at radient dot eu. Please note that, in spite of Radient’s efforts to maintain secure all communications with you, e-mail communications may be subject to fraudulent disclosure as a result of information security threats; accordingly you should not include credit card information or other sensitive information in your e-mail correspondence with Radient. 21. Communications. When you visit the Site or send e-mails to Radient, you are communicating with Radient electronically. For contractual purposes, you consent to receive communications electronically from Radient and you agree that all agreements, notices, disclosures and other communications that Radient provides to you electronically satisfy any legal requirement that such communications be in writing. This condition does not affect your legal rights.